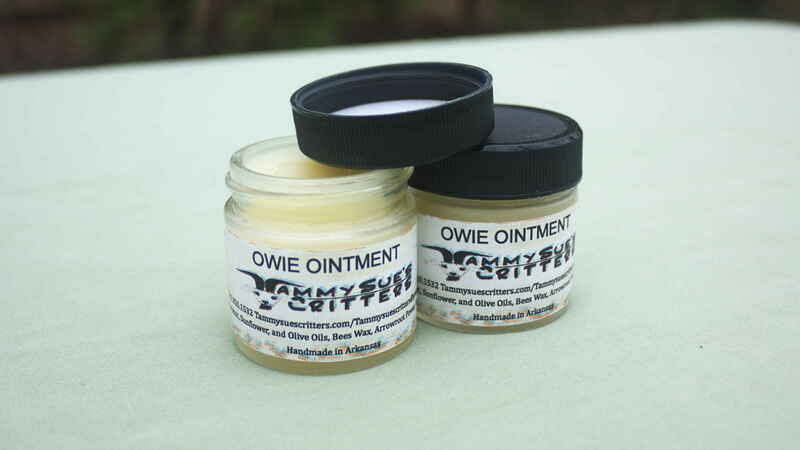 Our Owie Ointment is made with Coconut Oil, Sunflower Oil, Beeswax, Arrowroot Powder, Diatomaceous Earth and essential oils. This ointment is good for cuts, bruises, burns and bites. You will be amazed at how this soothes your owies!